Here we go again! After the traditional venue maintenance month of August, Arlington Arts kicks back into Autumn season action with a visit from Clout Theatre pe rforming their widely-acclaimed show, FEAST (Thursday 22nd September, 8pm), as part of an ever-evolving programme of theatre. 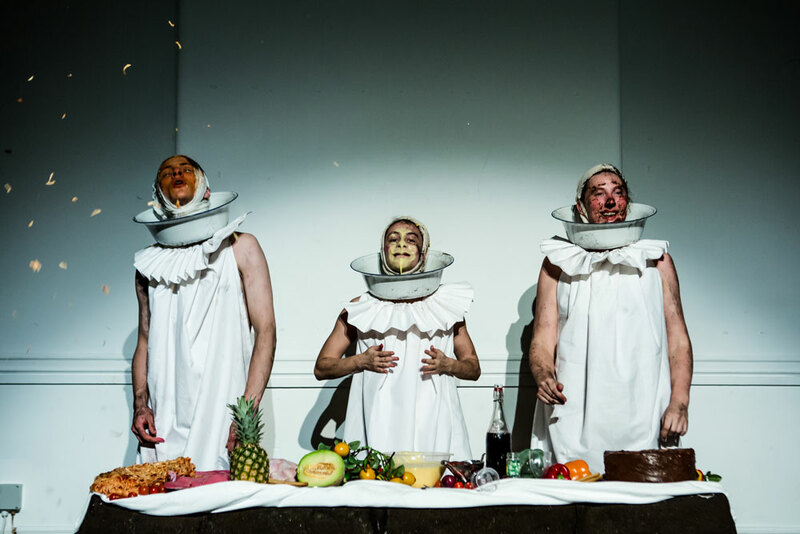 From raw steaks to cascades of milk and soil, FEAST promises to be something you’ve almost certainly never seen before in a piece that pushes the boundaries of reality with physical theatre, expressing the extremes of humanity’s relationship with food. The next day retu rns to the more conventional, but by just saying that would simply do an injustice to the music of Graham Parker and Brinsley Schwarz (Friday 23rd September, 8pm). Famously from Graham Parker and the Rumour, this duo armed with their guitars will perform songs from the early Rumour albums, Graham’s solo career as well as the reunion Rumour albums. An unmissable chance to see two heroes of British music history, still at the top of their game. A classic Arlington gig (Saturday 24th September, 8pm) sees American blues guitar player, Josh Smith, take to the stage. Having plied his craft in the LA session scene and shared stages with some of the biggest names in modern blues (Joe Bonama ssa, Eric Gales and Kirk Fletcher to name a few), Josh’s skills are unquestionable. While perhaps not yet as famously regarded as the likes of Bonamassa, within music and guitar circles, Josh is widely regarded as being one of the very best on the scene. With scorching blues chops coupled with hints of country and jazz, Josh really is a complete player and great inspiration for any musician. Clo sing out the month sees the return of the ever-popular Mandolinquents (Friday 30th September, 8pm), this time accompanied by harmonica and accordion prodigies, Will Pound and Eddy Jay.The calibre of these two guest musicians is exceptional, and the resulting folk-jazz hurricane is sure to blow you away. There’s something for everybody this month, from blues to folk to theatre to rock, so join us as we get stuck in to what promises to be an Autumn/Winter season to remember! Tickets are available from here, or by calling the Box Office on 01635 244246 (10am-4.30pm, Mon-Fri). Previous post: Hunter & The Bear: Clapton, crowds and…uh….socks! Next post: Pay What You Think Scheme!